Are you new to the playground of software development? Familiarize yourself with the asset of developing a software, i.e. Programming Language. Over a hundred programming languages are spread in the market, and each of them has their own complexities and idiosyncrasies. English is the international language of business and French is the language of love, just as different programming languages are for different purposes. The internet has revolutionized our lives wherein one can get access to different products and services with a few clicks. HTML is the primary language that was used for building websites, specifically static websites. As-of-now the market trend has been transformed from static web-based HTML websites to advanced dynamic websites developed on different platforms. Static websites are exercised to represent the pre-defined set of information such as a company profile, whereas, dynamic websites are likely to interact with the user and provide information depending upon the inputs of the user such as online railway reservation website. The best and most in-demand programming languages are used in most of the cases including web development, mobile development, game development, and much more. Growing technologies necessitates each business to have a website, and that has to be virtually outstanding. With the assistance of different programming languages, a website development company help you develop an imperative website for your business. Swift is somewhat a new programming language announced by Apple in 2014, used to develop iOS and macOS applications. However, it has generated and ranked the 13th most popular language stated by Github’s State of the Octoverse Report. Swift has been used to build robust, high-performance, native iOS, macOS and Linux apps. The language, Swift is anticipated to be a faster, more streamlined and more accessible to debug than its predecessor Objective C.
Objective C is now considered to be a clunky and dated language, whereas, Swift helps to build the website or app from the ground for an optimized performance to match the realities of modern iOS development. Java becomes the stronghold language in the world of computer programming from more than 20 years. The language works on its fundamental philosophy – ‘write once, run anywhere’ in general. While theoretically, it has been written on any device, compiles into low-level machine code, and then execute on any platform (if equipped with a Java Virtual Machine (JVM)). Java is the most common language used for developing Android operating systems or apps. Fortune 500 companies, for example, are using Java for building applications and back-end systems. Apache Hadoop data processing system is another example that is written in Java and run by Amazon Web Services and Windows Azure. With java’s versatility and ubiquity, it’s a modular language used for entrenched business applications. C is an old-school programming language that was introduced in the 1970s with a powerful influence on the computer programming landscape. Dozens of languages, like Java, Objective-C, C#, and many more come under the family of C and heavily influenced by its syntax, constructs, and paradigms. C is a language that will remain a popular choice for building high-performance applications. This language is a base for the Linux operating system and frequently used for programming embedded systems. C++ is another programming language, and the successor of C. C++ provides many of the same advantages as it builds on C. However, C++ is also an object-oriented language for developing higher-level applications. It becomes a popular choice for developing computer graphics, video games, and virtual reality. Python, the most user-friendly programming language that has its syntax clear, intuitive and almost English & Java-like. Python has a variety of applications for back-end web development. The open-source Django framework, for example, is written in Python that is easy-to-learn and feature-rich. Django has also been used in the development of websites like Mozilla, Instagram, and Spotify. NumPy and SciPy are commonly used in the fields of scientific computing, mathematics, and engineering and are the two-folds of Python. TensorFlow, PyTorch, scikit-learn, and OpenCV that are used to build programs in data science, machine learning, image processing, and computer vision also come under Python libraries. PHP is a server-side scripting language powers up 83% of websites and has been a vital back-end tool for tech giants like Facebook, Wikipedia, and Yahoo. The language plays a crucial role in the WordPress content management system which makes website development accessible to the masses. PHP is even used to enhance the functionality of HTML web pages by embedding within web template systems. It also helps in transferring data through querying databases like MySQL and PostgreSQL. Ruby is another scripting language that is also used for web development. In particular, Ruby is the source for Rails web application framework. Ruby’s community has an unofficial saying – ‘Matz is nice, and so we are nice’ that means encouraging members to model their kind and thoughtful behavior on ruby’s chief inventor Yukihiro Matsumoto. This programming language is one of the friendliest and most helpful user communities. Ruby has an active community that has an open syntax which is quickly picked up by the beginners. Twitter, Airbnb, Bloomberg, Shopify, and many other websites are built using Ruby on Rails. C# is an object-oriented language built on the foundations of C. This language was originally designed by Microsoft and part of its .NET framework for developing Windows applications. C# has been generally used for building applications native to Microsoft platforms. It uses a syntax similar to other C-derived languages such as C++ that makes it easy to use. The language, C# has also been used by mobile developers to build cross-platform apps on the Xamarin platform. C# is the recommended language for developing 3D and 2D video games using the popular Unity game engine. The field of computer programming changes rapidly. Therefore, you need to decide the programming language according to your business needs. The programming languages we have discussed above have a great deal of staying in power and in the years to come. 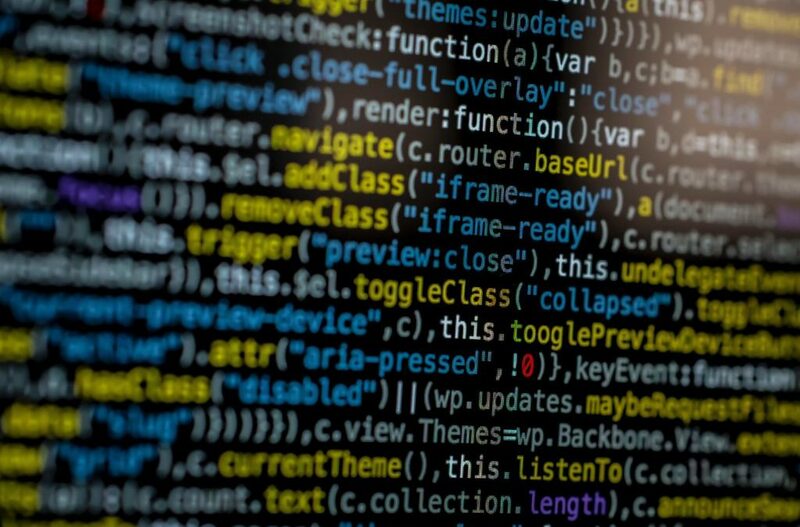 Ensure you pick up the right programming language for your website development, or hire a web development company to design and develop your website to get started. Ready to dig in? Wish A Cloud is here! Wish A Cloud is a top web design and development company committed to helping organisations grow by making the most of latest digital tools and technology.